 Click on the button below to share your Christmas story with me and I will post some of them. I sat at my desk looking at piles of receipts and bills to catch up on. I really didn’t feel like dealing with all this, especially after such a disappointing Christmas. I had such high hopes for that morning. We were actually able to get not only everything that each kid had on their Christmas list but also a few extra surprises. It had been a lot of fun shopping with my Hubby and finding just the right thing. As usual we stayed up most of Christmas Eve night, wrapping presents but it would all be worth it to see the looks of joy on our kid’s faces as they tear into their gifts and squeal with delight. Christmas did not bring the expected squeals and smiles, instead it brought out the grumpies. One kid thought the other got more. Another kid thought someone else’s was better than theirs. All of them were sure there should have been more gifts to go around even though they sat in the middle of a pile of gifts just for them. Next the food wasn’t good enough. It was too hot or too cold or too yucky. Later we headed to my aunt’s house where they were surrounded by family who loved them and people who had sacrificed to give gifts to them but it was just another scenario like the morning only this time much more embarrassing. Their whining for more was deafening. Now let’s fast forward to the following November. That prayer was long forgotten as new prayers formed. The new prayers were more like, Dear God, please show me how to make this little bit of food into a real meal; please help Marty find a job; we could really use some milk; where will we get the money for toilet paper; and we need diapers again, Lord; can you supply us with our next meal because I have no idea what it is? Life had changed. It was only two weeks until Christmas when Joshua went snowboarding down a little bump they called a hill. The board hit a patch of weeds and threw Josh so that he landed on his wrist. I took him to the hospital while Marty stayed home with the kids. As I suspected his wrist was broken but I did not expect the scene I entered when we returned home. The kids were irritable and arguing. Noah was in his play pen and needed a diaper change. Toys were scattered all around and my normally very attentive husband was locked in our bedroom, hiding from the demands of the kids. It was past supper time and I had no idea what we were going to eat. Immediately, I went to the kitchen to see what creation I could come up with this time. I hadn’t had a great day myself and honestly I wanted to go lock myself in the bedroom with my husband but someone had to make the food. I started to pray again that God would help me to have a good attitude in the midst of this mess. I poured out my worries and begged for creativity as I searched my mind for recipes with the few ingredients I had. I prayed especially for Marty. I really can’t imagine the weight that is on the shoulders of a man who has spent so many years providing well for his family only to have to face Christmas with 6 kids, no job and not even enough money to provide the necessities. I knew the kids had probably been asking him about Christmas again. They weren’t blind, they could see we didn’t have enough so how would we ever find more for gifts. I didn’t blame them. They’re kids and Christmas was so close. “Lord,” I prayed again, “please, help me to speak to the hearts of my family and help us all to find peace in You.” I had an idea. I started looking around the kitchen for the proper supplies. I had just enough of each thing. Thank you, Jesus! I called the family to the table for supper and received the response I expected. “Why are there napkins in our glasses? I don’t want a napkin to drink! I need a real drink.” One by one each person removed their mysterious napkin from their glass and I poured fresh clean water from a pitcher. While we ate our supper I talked to them about the napkins, pointing out that in order to put the nice water we wanted in our glass we had to first remove the napkins. This is like our hearts. Right now they are full of worries and cares so we need to share those things and get them out of our hearts so we can fill our hearts with good things. We went around the table and talked about how scary it was to not know where our next meal would come from, how sad and frustrated it made us to not see a way to have Christmas presents and so on. The mood became noticeably lighter and I took the moment. That night the gift bag started to fill up but I didn’t look inside. Much to my surprise over the next few days people started coming to me with requests for wish lists, toys their kids had outgrown but they would be perfect for mine, coupons and money, even food. On Christmas Eve, after all the kids were asleep in bed, Marty and I began bringing out the hidden treasures. Never had there been so much under our tree! We looked in the gift bag for Jesus to see what gifts had been given. I had imagined little scrap pieces of paper with a few words scribbled on them but instead I found beautiful cards carefully drawn and colored by their own hands. The notes were inside recording times they did something kind but one card gripped my heart - it was a prayer for the salvation of a friend. I found a dollar from Victoria in our large plastic nativity on the baby Jesus. I have no idea where she found a dollar but she wanted Jesus to have it. We put the gifts up for safe keeping to be remembered someday later and went to sleep. I couldn’t wait to see the look on the kids faces this Christmas. This Christmas brought shrieks of delight. I know Jesus had to be sitting on the edge of His throne and grinning a huge goofy grin as he soaked up the praise of his little children. “Mommy, look what Jesus got me! Oh, this is just what I wanted, thank you, Jesus!! Thank you, Jesus! Daddy, did you see what Jesus got me? Oh, Jared that is so awesome! Jesus got you that?” The whole morning as each gift was opened the praises of our Savior flew to Heaven. Even breakfast tasted wonderful as gratitude filled all our hearts. Before you get the idea that life was somehow wonderful and story like from then on let me point out that cookies are made from more than sugar. Despite that wonderful gift several months later we found ourselves losing our home, losing our van and moving two hours away from everyone we knew while I was 8 months pregnant. The rental we moved to had no water for almost 2 weeks and that was only the tip of the iceberg. Needless to say, by Christmas I was not very positive. My kids, however, came to me requesting a gift bag for Jesus so they could give him birthday presents. This year we had even less but in His grace God sent us some money for gifts. We took part of it and told the kids they could not only do nice things for Jesus but we could buy him some gifts from the Harvest of Hope catalog. Never have I seen such care as they poured over the catalog. They sincerely discussed and debated which gift would be the most beneficial. They wanted to make sure a Bible was given because without that nothing else matters. Medical or school supplies seemed important and how about a chicken. They didn’t want to forget the prisoners either and wait we want to send a Christmas gift but we don’t have enough money for all of this. After much discussion they came to me with a request. “Mom, we really want to get these things for Jesus but we don’t have quite enough money. Could you take some of the money you were going to spend on us and use it to get these things?” That brought tears to my eyes and of course that’s what we did. But there was more discussion after it was settled because the kids had experienced no water and losing a home. They really wanted to provide a well for a village and a house for a family. The cost for those things was way beyond our ability to purchase and that upset them. We came up with a plan. We wrapped a tissue box and cut a slit in the top. On it we pasted the pictures of a well and house, then we prayed. Throughout the year we would contribute whatever we could to the box that would sit on the dining room table until next Christmas. Then we would hopefully have enough for a well and house. This time I was expectant and certain that God would miraculously provide a way to come up with that money even though it was way more than I knew we had. A year later, we tore open the box with expectancy. The kids had put in birthday money and chore money. They had done odd jobs and put it in the box. We prayed about it almost every meal as the box was a constant reminder. Surely there would be enough for a well and a house. We were very disappointed because it was only $100, not nearly enough for either thing. How could I explain this to the kids? I really struggled and wrestled with God about why He didn’t work this out. The next morning at church our pastor announced that as a church we were going to take up a special offering to purchase the equipment to dig wells for villages. My heart soared! What an awesome God we serve. That $100 didn’t buy a single well for a single village it went with all the money and purchased a well digger to provide many wells for many villages!!!! Wow!!!!! What started as a prayer of desperation became many prayers that brought eternal changes to the hearts of my family. Isn’t that so like God though? He isn’t interested in simply making us comfortable now or obeying our prayers. He is far too great and creative and loving to give us exactly what we ask. He makes us into cookies but he doesn’t use a cookie cutter. Sometimes he answers right away, sometimes he waits a year, sometimes he answers with more than we dared hope and other times we are left wondering but always His answer is for the greatest good and covered in love. A year ago Nov. 29th, our aunt was whisked to Heaven when another car went left of center and crashed head on into her car. It left us all reeling. I could tell you countless stories of God’s grace in the midst but to keep to the story that is being told I will simply tell this. She lived in a house that has been in the family for over 100 years. The family asked us to move back home and keep the house in the family. Though we had no job here and the house is in great need of major repairs we chose to accept the offer and come back home. I never imagined we would own a home again or that it would be near our family. That Christmas we were able to use what would have been a rent payment and we purchased a home for a family in Bangladesh. Now I don’t believe God caused the accident to answer our prayers for a home for another family but He does take all things and work them together for the good. Our aunt knew and loved him. She is not sad or missing her home. God took the loss and made it a gain on so many levels. I cannot wait to see her in Heaven and tell her about all the prayers she had been praying and how they were answered. This year one of our kids created shoe boxes for Operation Christmas Child with her own resources. Many of them have shared their desire to go deliver those boxes. I don’t know what God will do with the following years but I know that he answered a desperate prayer in ways I never would have asked. Had it been up to me I would have continued giving them gifts with a lecture about being more grateful but God knew what was needed to change characters and hearts. He knew how to teach us to trust and love. I just wanted happier kids. He wanted better kids that He could use to change the world. What an awesome God we serve. To find out more about Harvest of Hope, click the image below.